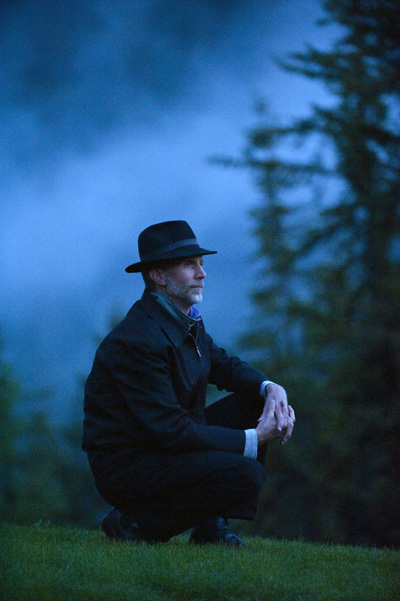 And the winner is … John Luther Adams. This is especially exciting news, since Ludovic Morlot and the Seattle Symphony will be taking Become Ocean, the large-scale work they recently commissioned from Mr. Adams, to Carnegie Hall next month as the centerpiece of their Spring for Music program. Awarded to “Become Ocean,” by John Luther Adams, premiered on June 20, 2013 by the Seattle Symphony, a haunting orchestral work that suggests a relentless tidal surge, evoking thoughts of melting polar ice and rising sea levels (Taiga Press/Theodore Front Musical Literature). Anyone who has gone down a stretch of road and then reversed course knows that a landscape does not look the same when viewed from opposite directions. One mystery of “Become Ocean” is how different the material often sounds during the second half of the [overall] palindrome [structure]. The section after the first climax is thick with minor chords, particularly in the brass. Somehow, as these chords loom again in the buildup to the final climax, they take on a heavier, more sorrowful air. There is a sense of unwinding, of subsiding, of dissolution… That a piece constructed with such fanatical rigor can convey such potent emotion is the greatest mystery of all. Music is not what I do; music is how I understand the world. I hope that if I find myself in a singular place: wilderness, urban, indoors, outdoors, real, imaginary—doesn’t matter—if I find myself in a real place, a true place, and I am paying attention, then maybe I hear something that becomes music. If that happens, then I hope the music floats away, takes on a life of its own, and becomes something else to you when you hear it. What I may have experienced, what I may have been reading, or looking at, or listening to, or thinking about when I was in that place working on the music really doesn’t matter. What matters is the music and how it touches you.